Cornwall has a wide selection of unique holiday homes to rent for your staycation in this glorious part of the United Kingdom. If you're looking for a five-star luxury self-catering cottage in Cornwall, then you won’t be disappointed if you choose to stay at Ancarva. Ancarva is a unique holiday let, located on the water's edge in this forgotten corner of Cornwall, close to the villages of Millbrook, Kingsand and Cawsand. Step into this unique property and relax into a house full of all the refinements you would expect in a luxury property. Sitting on the balcony overlooking the tidal Millbrook lake you can immerse yourself in the natural beauty that this unique location has to offer. The wildlife is really something to behold. With an abundance of native birds coming to feed at each change of tide; the far-reaching views across the water to the Mount Edgcumbe Estate will provide hours of wildlife spotting opportunities. One of the unique features of this property is the addition of a private pontoon giving excellent access to the water for three hours either side of high tide. This property is a perfect match for the sailing enthusiast or for those who enjoy kayaking, canoeing or perhaps diving. The pontoon also provides the perfect place to sit with the children crab fishing whilst enjoying a glass of your favourite…. The house is adorned with all the luxury furnishings and sumptuous bedding to ensure your stay is perfect in every way. The kitchen has three ovens and every utensil you will need to create those perfect meals for the family to share during your stay. The covered terrace has a large dining table for outside entertaining. If you are planning a special family gathering to celebrate a landmark event, then Ancarva really is the perfect holiday home for this special occasion. 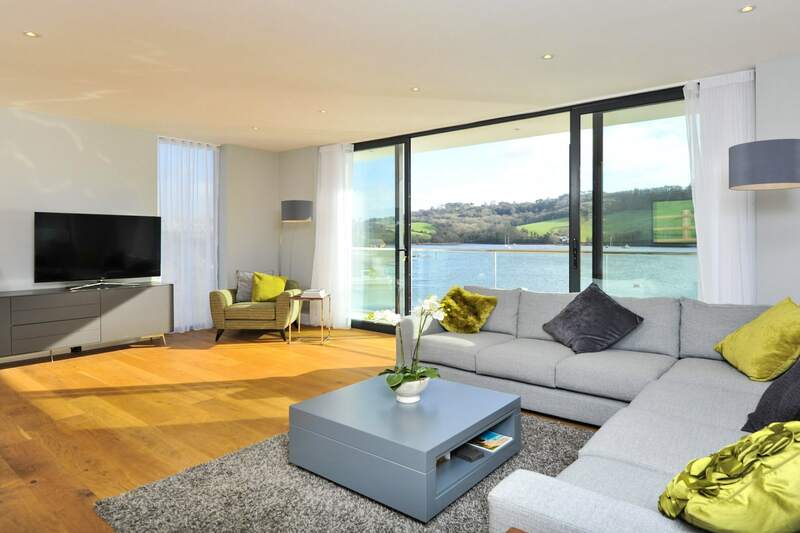 The open plan living space is perfect for all your friends and family to socialise and take in the ambience of this unique waterside location. Cornwall really is an amazing place to visit any time of year and the Rame Peninsular in particular has the perfect combination of activities and places to eat to make this the ideal location for your Cornish holiday.